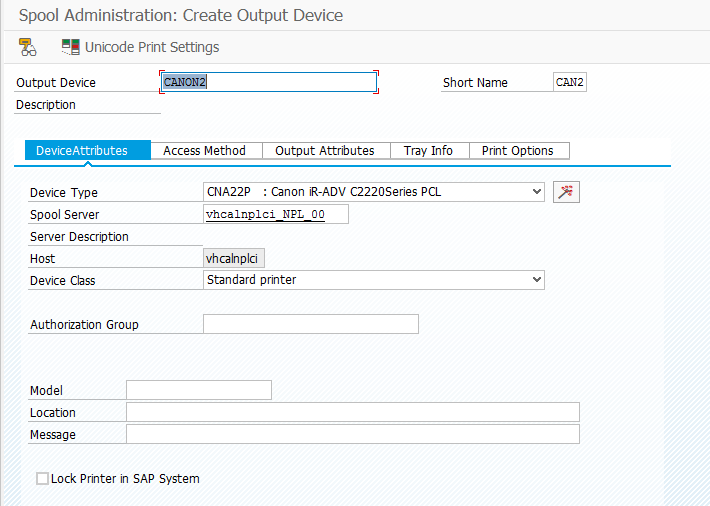 Also we assume that the SAP instance is up and running, and that your host computer (the one running your hypervisor for the guest VM) is capable of sending stuff to a printer located on your local network. 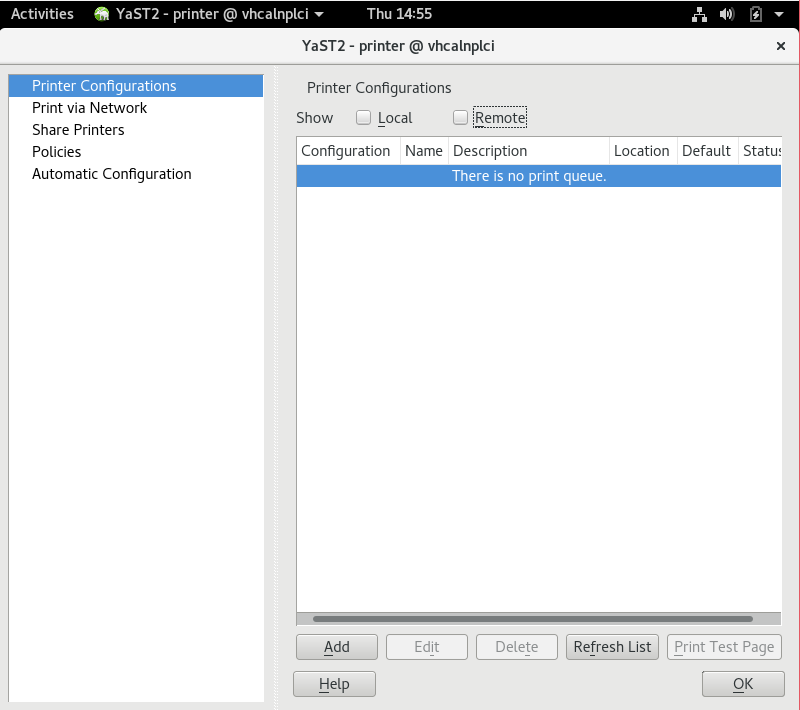 First, check what network printer you are going to use… because usually you need to “best-guess” suitable drivers… so in our example, it is a Canon imageRunner Advance C255i … and in this “example corporate network” it is on a Windows host with NetBIOS=abcd , and the printer share is called someprinter01. 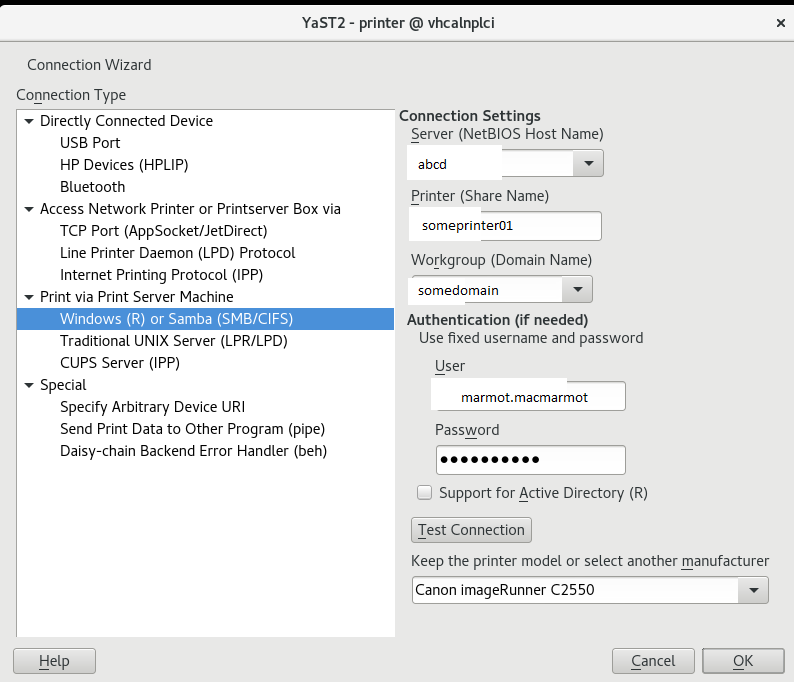 So we are going to use Samba, which is the way to get Linux machines to interact with printers on Windows servers, and we are going to use the “Yast2 GUI” tool from openSUSE Leap Gnome desktop, because, well, it is easier and less error-prone than following the online documentation for command-line stuff. 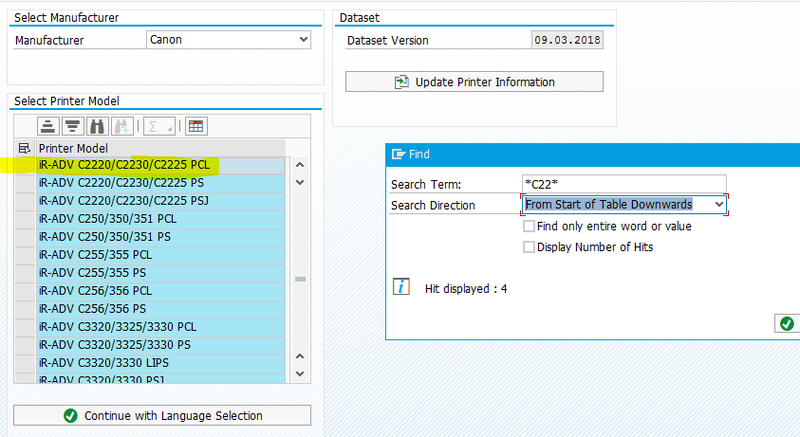 Being in Europe, we want A4 as default paper size… also since I am only setting up one print channel from this machine, we may as well set it as default, and we want to Accept Print Jobs and Enable Printing, for sure (but those last 2 options are probably automatically checked on when creating the connection, you can only edit them later I think). 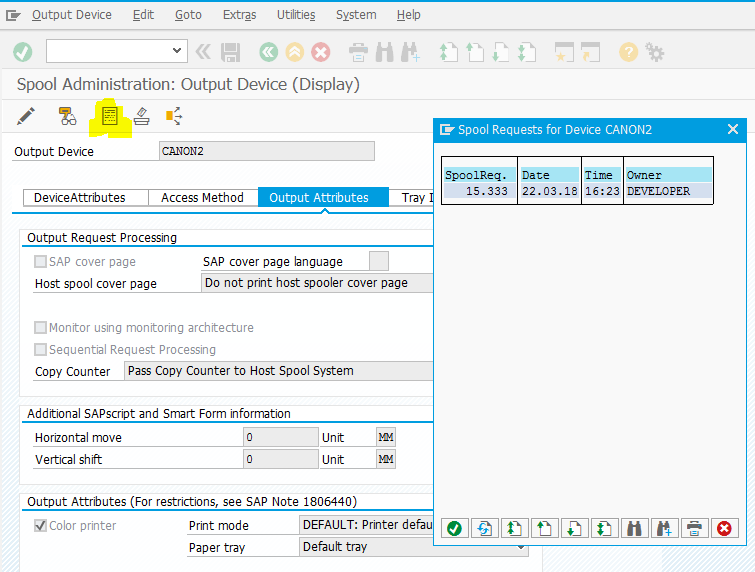 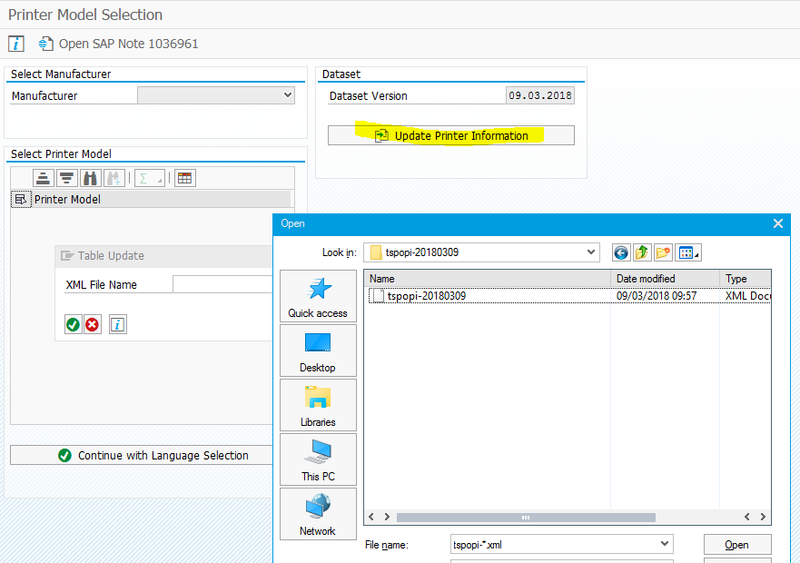 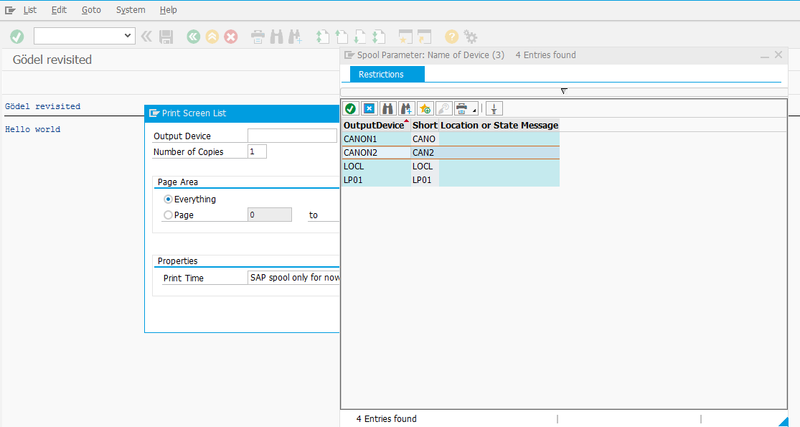 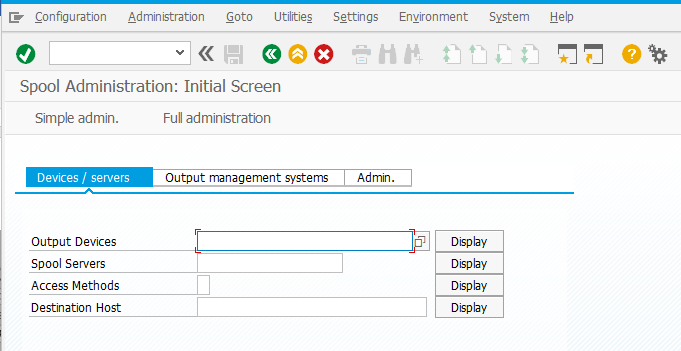 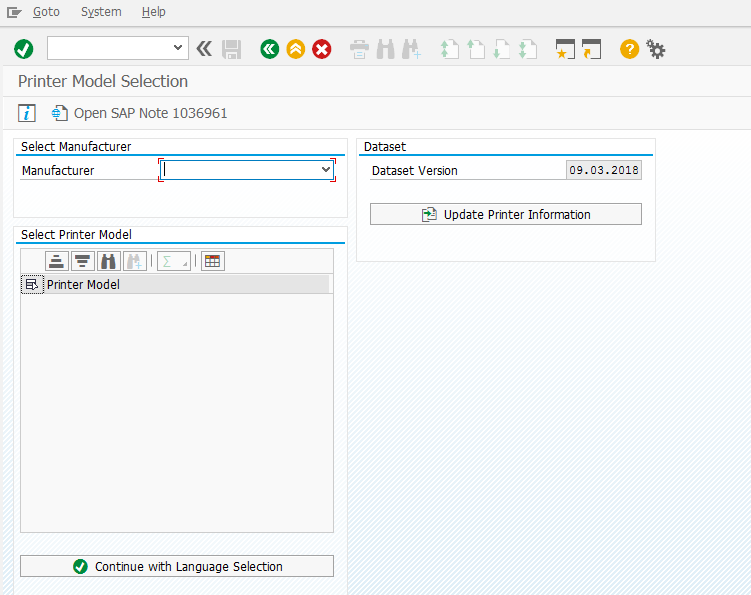 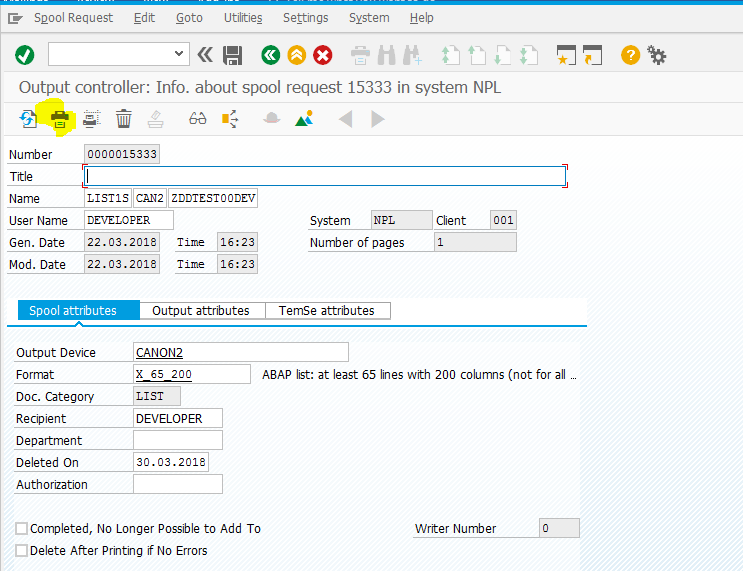 When creating the new connection, you can also give it a name, under “Set Arbitrary Name” …mine gets the name “canonsuse1”, and we should keep that in mind for later when configuring SAP NetWeaver instance to print. 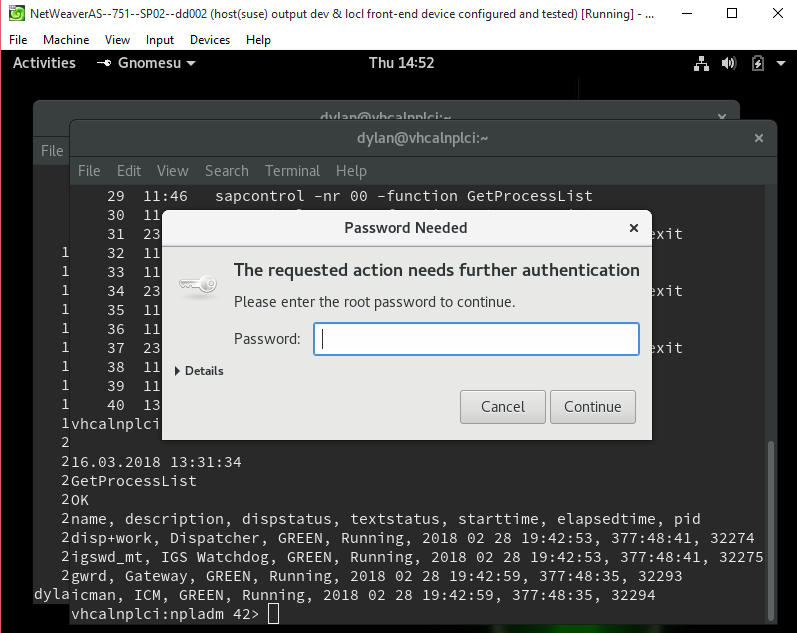 Switch to “Full Administration” (if you want), then anyway you want to choose either or the white arrow on green circle, or menu-path Configuration->Output Devices. 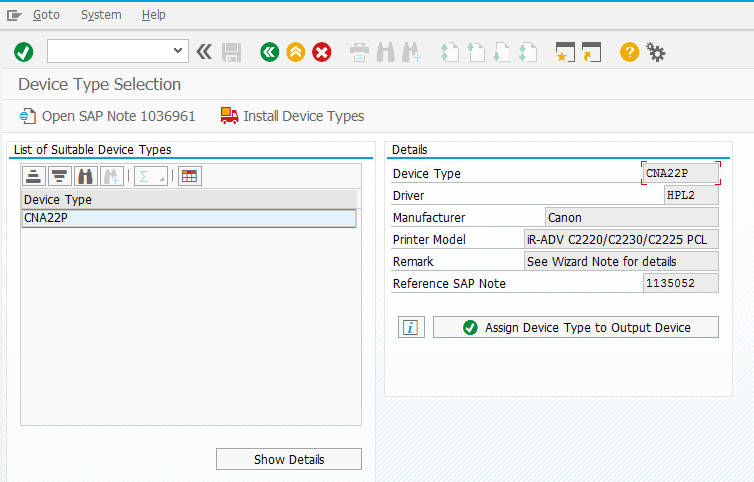 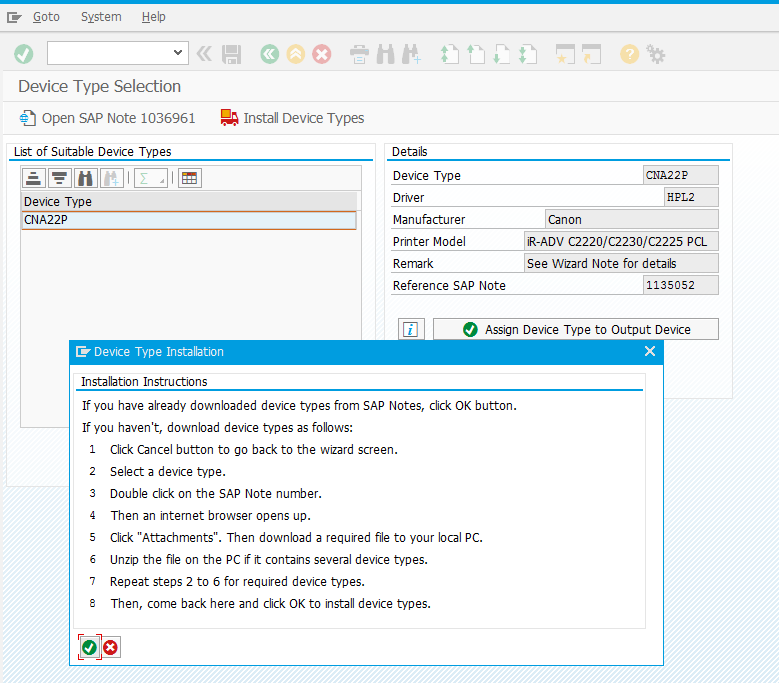 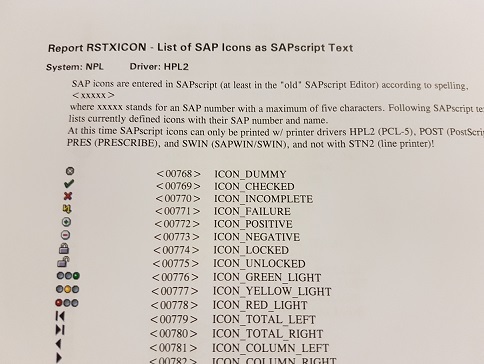 Note that this doesn’t also upload all drivers you might want, it just basically says what supported manufacturer-printer combinations for SAP printing exist. 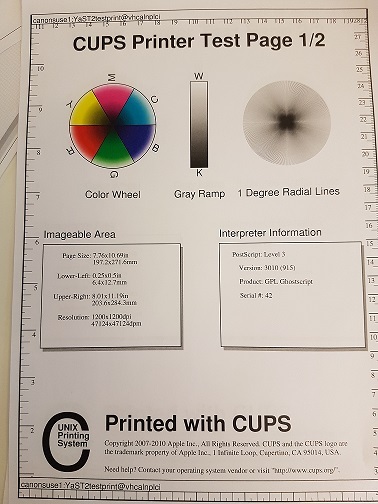 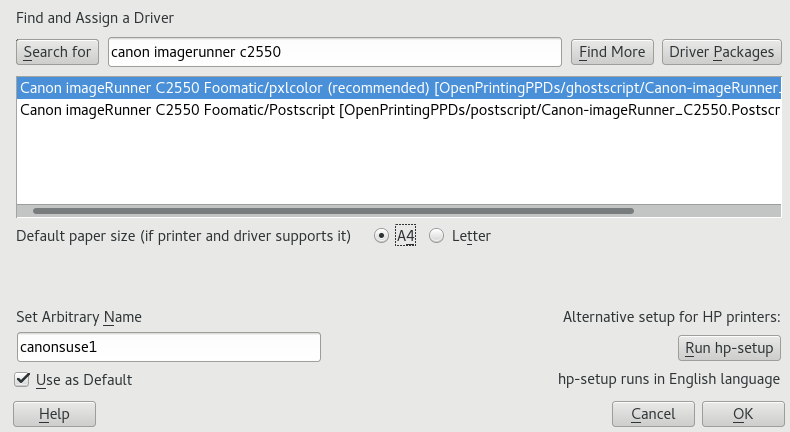 If you like, in OutputAttributes you can check the Color Printer checkbox, if your printer supports that. 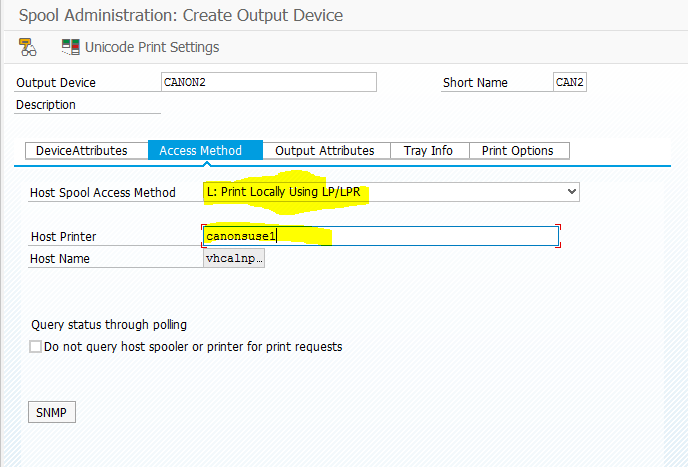 And then you Save the new Output Device. 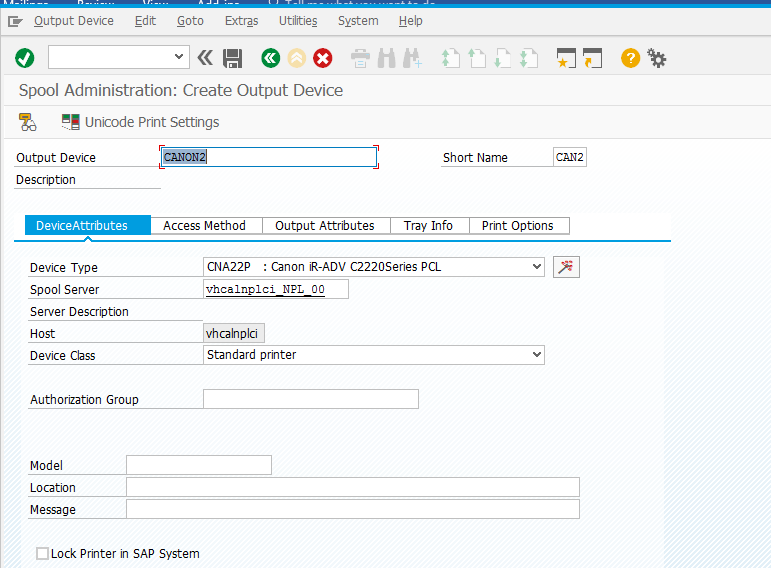 Go to menu-path List.. Print… choose an Output Device, say the new one CANON2..